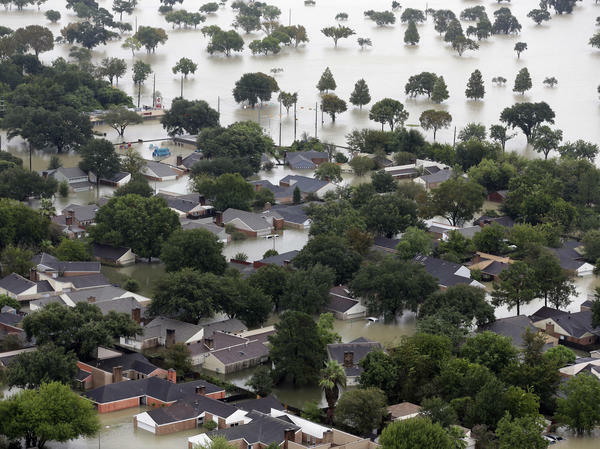 Homes are flooded near the Addicks Reservoir as floodwaters from Tropical Storm Harvey rose on Tuesday in Houston. As the deceased arrive at the Harris County Institute of Forensic Sciences, medical examiners determine whether the causes of death are storm-related, and not due to natural causes. Tricia Bentley, a spokeswoman, tells NPR that she expects the list of storm-related deaths to grow. "I think as waters recede, we're going to find people who drowned in their homes, vehicles that were maybe swept away," she said on Thursday. "It could continue to grow over the coming weeks." 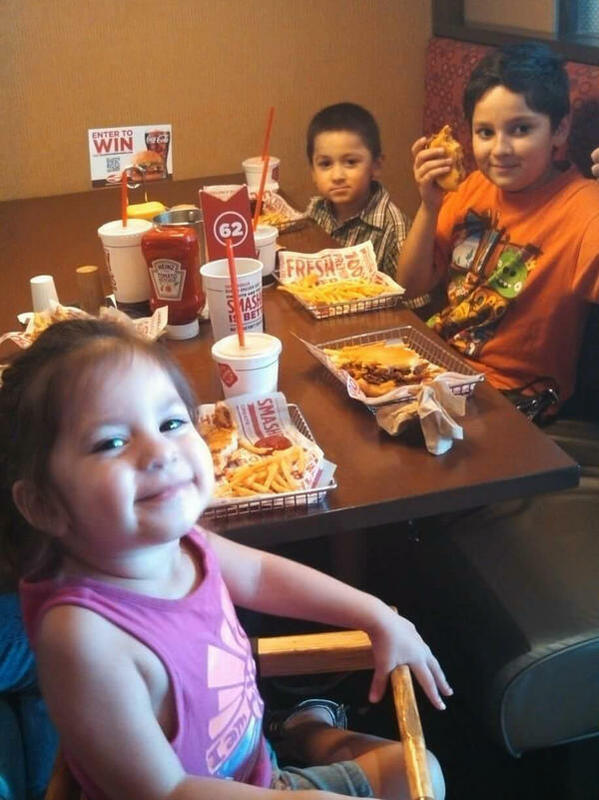 On Wednesday afternoon, authorities in Harris County confirmed that six members of the Saldivar family, including four children, died when their van was swept away by floodwaters. The van was flooded on Sunday, with one known survivor, but the vehicle's whereabouts were unknown for several days. On Sunday morning, sheriff's deputies were conducting evacuations when "at a distance, they could hear somebody screaming," Harris County Sheriff Ed Gonzalez says. "They spotted a man clinging to a tree. They were able to use a rope and really performed a heroic effort in getting him out." Samuel Saldivar said six of his family members — his parents and his brother's four grandchildren — were trapped inside a van that had submerged beneath the water. It was several days before water levels dropped enough for authorities to locate the van. 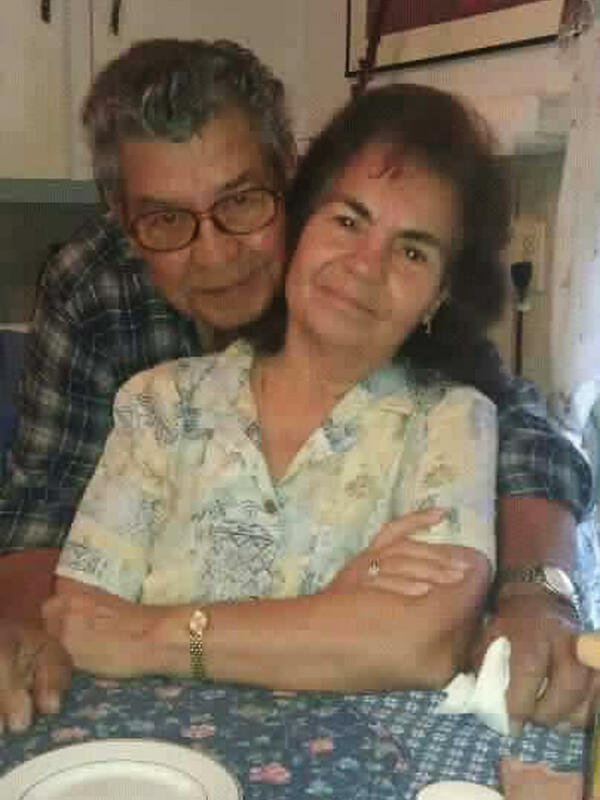 On Wednesday, divers found the bodies of all six of the missing members of the Saldivar family: Belia Rojas Salvidar, 81, and Manuel Saldivar, 84, along with their great-grandchildren Devorah, 16; Dominic, 14; Xavier Adam, 8; and Daisy, 6. Their deaths left officers shaken, Gonzalez says. "It was a miracle the one driver was rescued," he said. 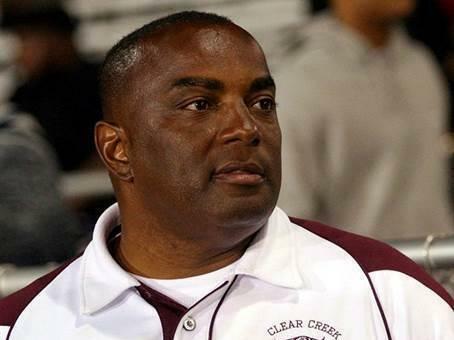 Ruben Jordan, 58, was a retired social studies teacher, and a track and football coach. "There are about 100,000 people in the town where we live, and Coach Jordan probably knew most of them," Mary Latulippe told NPR's Morning Edition. She worked with Jordan for 30 years at Clear Creek High School. He was known as a mentor and role model for his students. "He was just there. He was just kind of a force of nature," said Jamie Brownson, who knew Jordan for most of her life. They lived in the same neighborhood and he was her teacher and coach. And when she became a teacher at Clear Creek herself, Jordan mentored her. "He just reminded me that we were teaching kids," she said. "We weren't teaching subjects. We weren't teaching science. We weren't teaching math. That if we could remember that we were teaching kids, that it was all about kids - it was about the relationships - the rest would will itself out." Alexander Kwoksum Sung, 64, drowned inside his clock repair business, according to Harris County officials and The Associated Press. He had repaired clocks in South Houston for decades. Sung's daughter Alicia Contreras told The Washington Post that she spoke to her dad over the phone during the early days of the storm. He had been checking in repeatedly to make sure she and her sister were safe, the Post reports. But Sung himself was at his business, Accu-Tyme, frantically trying to move customers' clocks to higher shelves. "Sweetie, I'll have to call you back," he said. He texted a few minutes later, telling her he loved her. That was Saturday night. His body was found in the flooded shop on Sunday. Sgt. 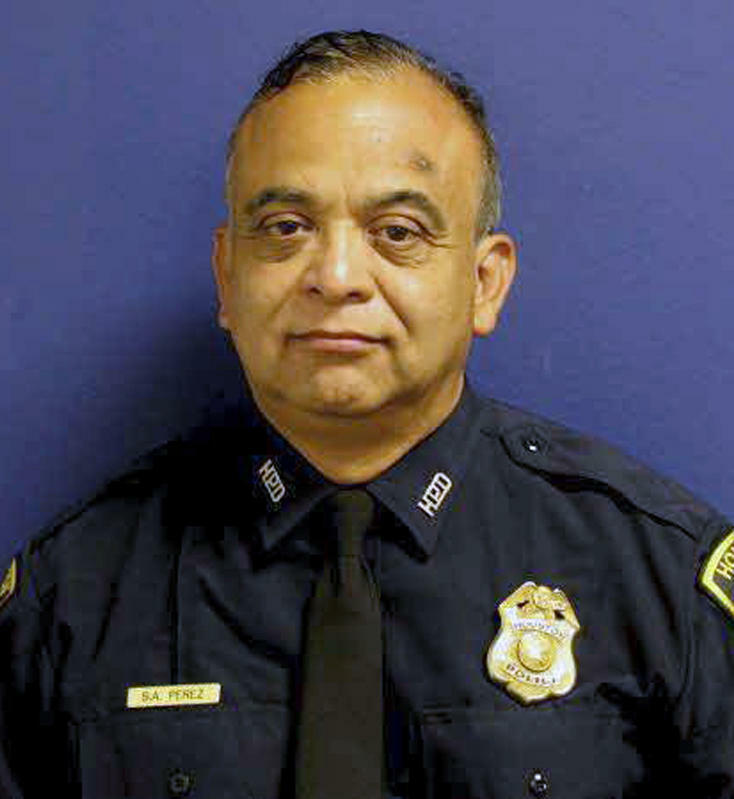 Steve Perez, 60, was a Houston police officer who died trying to get to work on Sunday morning. "In a somber news conference Tuesday afternoon, Police Chief Art Acevedo said Perez's wife, Cheryl, had asked her husband not to report to work Sunday morning. But Perez, who had been on the police force for 34 years and was just a few days short of his 61st birthday, insisted on going in.
" 'Unfortunately in the darkness, Sgt. Perez drove into an underpass that's about 16 1/2 feet, drove into the water and he died in a drowning-type event,' said Acevedo, his eyes moistening. "Perez's father-in-law, a Korean War combat veteran, also told him not to go because the conditions were so bad. 'And his response was, "We've got work to do," ' said Acevedo." Joshua Feuerstein, 33, of Conroe, died when he drove his pickup into standing water. Captain Bryan Carlisle of the Montgomery County Sheriff's office tells NPR that witnesses saw Feuerstein attempt to back out, but the truck was trapped in the deep water. Several people tried to save him, but were unable to reach him in time. Donald Rogers, 65, and his wife Rochelle, 58, were killed when they drove into floodwaters as they went to check on a family member on Wednesday afternoon. Rochelle Rogers was a florist, and her husband was a preacher at Second Baptist Church in Katy, the Houston Chronicle reports. The couple was on the phone with 911 when their phone went silent, the AP reports. When officers reached their truck, it was completely submerged. An unidentified man between the ages of 60 and 70 drowned on Monday night in Montgomery County. Authorities say witnesses saw the man trying to swim across a flooded road, but he slipped under the water. Bystanders tried to help him, but were unsuccessful. His body was found the next day. Agnes Stanley, 89, died inside her home in Houston on Sunday. Her body was four in 4 feet of water. She was a volunteer with Houston Audubon's Docent Guild, where she worked with a program that introduced children to birds and botany, according to the Chronicle. "She was fierce and determined. She was small in stature, but strong-willed and invincible," Helen Drummond, executive director of Houston Audubon, told the newspaper. "She just meant so much to us and she will definitely be missed." Lisa Jones, 60, was killed when a tree fell on her mobile home in Porter. The Montgomery County Sheriff's Office described the heartbreaking circumstances: Jones and her husband were inside their home on Monday when she went to take a nap in their bedroom. Then the tree fell, its waterlogged roots no longer able to hold it up. Photos show that the trunk nearly flattened the trailer where it hit. "The homeowner screamed for his wife," the sheriff's office reports. "The elderly male was unable to get to her or get her to respond." He went for help. When police arrived, they found Jones dead in the bedroom. Travis Lynn Callihan, 45, died on Monday when he drowned in water trying to leave his vehicle, authorities say. He later died in a Harris County hospital. "Mr. Callihan lived alone, his brother said. He kept to himself and quit working after he broke his back a few years ago in a boating accident," The New York Times reported. "He was a science geek, who loved hunting, fishing and scuba diving. Colette Sulcer and her young daughter were driving in Beaumont when their vehicle was stuck in high water. Sulcer got out of the car and was swept away by water, her child clinging to her. They floated a half-mile before being spotted by a police and fire department rescue team in a boat. "The first responders got to the mother and child just before they went under a trestle," a support for a bridge or elevated road, the Beaumont Police Department said on Facebook. Water had risen to the level of the trestle; the rescue team reached the mother and child just in time to keep them from being swept under. Sulcer was unresponsive when rescue crews reached her, and the child was suffering from hypothermia. Waters were too high for an ambulance to reach the area, so a citizen with a truck helped transport the mother, daughter and first responders — who were performing CPR — through flooded streets to the ambulance. The mother died, but her daughter survived and is now in stable condition. Batool Qasem, 76, was found dead in high water beside her vehicle in Houston on Saturday. Ronald Zaring, 82, whose death was attributed to heart disease, pneumonia and the flood. In Rockport, one unnamed person died on Friday or Saturday in a house fire during the storm, the Aransas County judge says. Rescue crews were unable to reach the house in time. In Galveston County, three people have drowned, authorities say.